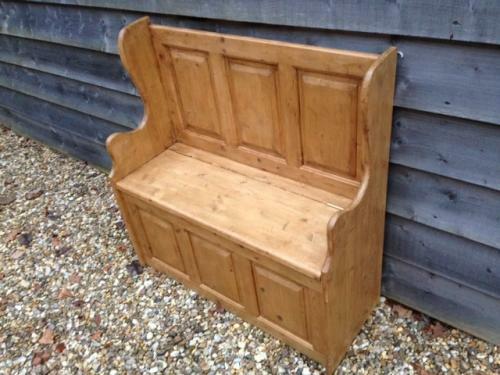 Small pine settle (not old) but has been made out of old door panels. Ideal in a lobby to sit on while putting on shoes etc. The box lid lifts up with plenty of storage inside. Approx 3 foot wide.